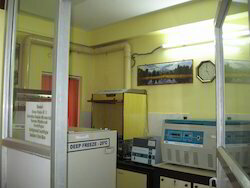 We undertake the jobs on Subchronic Toxicity Study on mice and rates (28days).The centre is having the state-of-the art air-conditioned animal house to accommodate at least 300 animals. Acute studies are short term exposure studies. It includes the other factors such as , species, strain, age, diet, nutritional status, general health conditions, animal husbandry, experimental procedure, route of administration, stress, dosage and formulation etc. 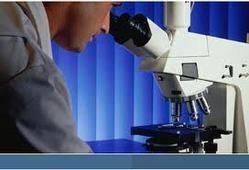 Acute Toxicity Studies are also carried by us to determine the toxic manifestation of various substances. This research is conducted on an animal, which is exposed to a lot of doses of test substances in the span of 24 hours for studying the toxicity. One is acquainted with the health hazard that can be caused by the substance in question. We are provided Acute Toxicity Studies. 'Toxicology' traditionally known as the 'science of poisons' began with early cave dwellers who recognized poisonous plants and animals and used their extracts for hunting or warfare. Simultaneously, with time, to determine the effectiveness of a particular compound the concept of toxicology was developed. Dermal toxicity is the ability of a substance to poison people or animals by contact with the skin. With our in-depth knowledge and experience in this domain, we are offering Chronic Toxicity Studies Service to the clients. We are a reckoned name of the industry well known as one of the principal provider of Repeat Dose Toxicity Studies Service. With the support of our familiar and skilled team of personnel, we offer these services as per the needs and necessities of our customers. Additionally, the personnel hired by us are well trained and are highly experienced in this domain. Semler Research Center (SRC) has in-depth expertise in developing formulations of new chemical entities for phase I, II and III for US, European, Indian and other regulatory submissions.